I had nothing for Monday and really want to get back into a more consistent daily blogging routine. So, I was super excited to see this great linky and giveaway hosted by Table Talk with C & C.
So, which is my best selling reading activity? My Main Idea and Detail Concentration, of course! I had created this game to use with a group of third graders who struggled with main idea and details. Last school year I revamped it and made it much more engaging. The simple "Memory" concept makes it easy for students to try to figure out the details to match the main ideas. Students enjoy playing the game and ask to play it time and time again! I have even included an answer key to make it easier to put out at a center. So, what is your best seller? Link up with Table Talk with C & C to let us know! Also, head on over to Learning with Mrs. Leeby to enter her blogiversary giveaway! It is huge with a lot of clip art to win! We are so happy you linked us with us!! 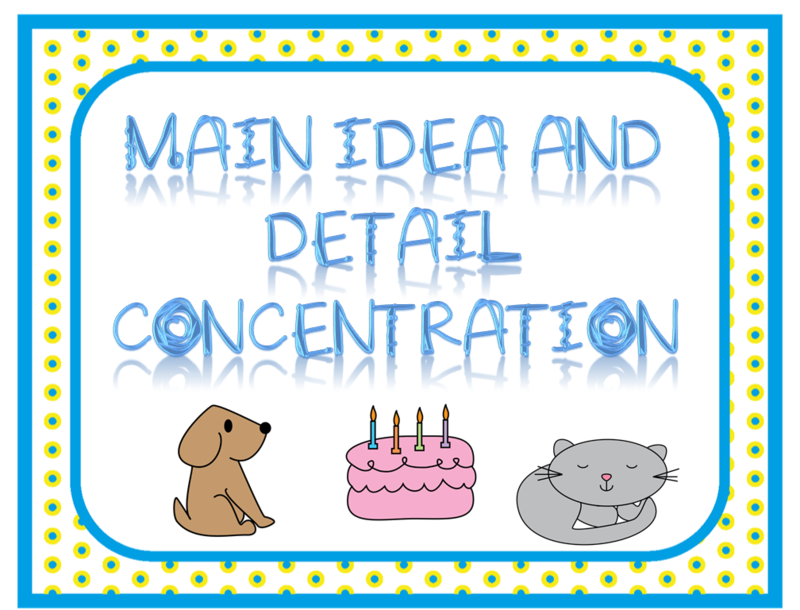 Can't wait to check out your Main Idea and Detail Concentration activity. I know this is something our 2nd graders can use later this year! !